On January 15, America commemorated Martin Luther King Jr. (MLK) Day. It coincides with his birthday and has been observed as a federal holiday since 1986 to pay tribute to the leader of the US civil rights movement who was gunned down in Memphis, Tennessee on April 4, 1968. MLK Day started to be observed in some cities and states in 1971 before being made a federal holiday. 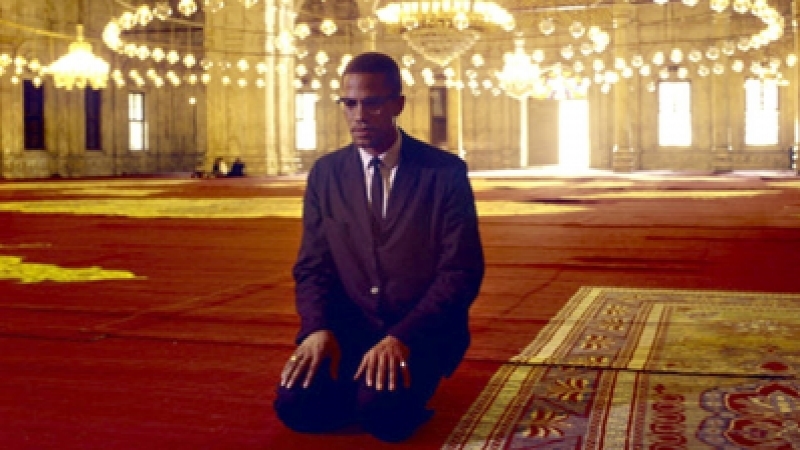 This year’s February 21st will mark the 51st death anniversary of el-Haj Malik Shabazz, better known as Malcolm X. There is no official holiday to commemorate the martyrdom of another — and to some even greater — civil rights leader in the US than King. Malcolm X’s anniversary will likely be commemorated by a small but dedicated group of people that want to uphold truth and justice by keeping his memory alive. It is almost certain that without Malcolm X’s revolutionary stance, Martin Luther King would not have made the kind of headway he did in the civil rights movement. In fact, the manner in which oppressors operate, it was to undercut Malcolm X’s appeal that the American establishment granted some rights to the African American community after Martin Luther King’s assassination. King was a young Baptist preacher and undoubtedly a gifted orator but not as sharp as Malcolm X. 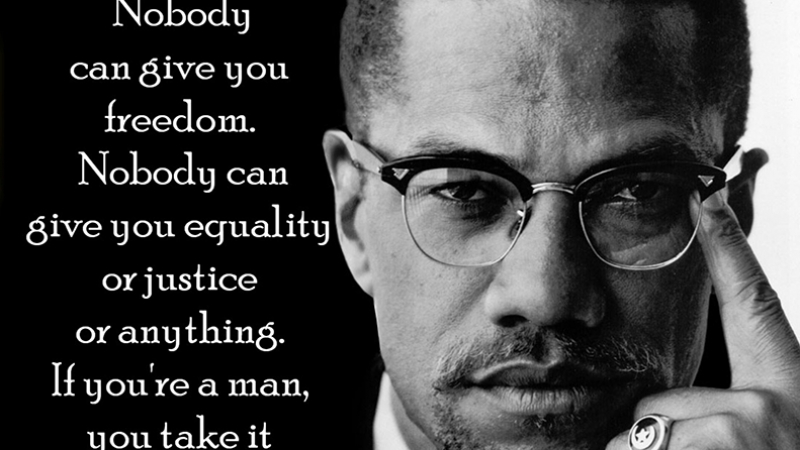 Had he been alive, Malcolm X would be a grand old man of 91 today. He was cut down in a hail of bullets on February 21, 1965 in Manhattan’s Audubon Ballroom where he was scheduled to speak. He had not reached his 40th birthday yet even in such a short period of time, he had become one the best-known African American leaders and perhaps the most outstanding and gifted speaker. Born Malcolm Little, he adopted the “X” after his name to draw attention to the fact that the white slave master had wiped out his ancestry and history after free African men were brought on slave ships from Africa. Like African Americans of his generation, Malcolm X and his family faced death threats from white supremacist groups like the Ku Klux Klan (KKK) and its breakaway faction, the Black Legion. Malcolm was one of eight children born to Earl Little and Louise Norton. His father, Earl Little, was an outspoken Baptist minister and avid supporter of Black Nationalist leader Marcus Garvey. Not surprisingly, his open criticism of white supremacist groups aroused the wrath of the racists that were running rampant in America at the time. Forced to relocate twice because of death threats, his father was murdered in 1931 when his body was found lying across the trolley tracks, almost certainly the victim of Black Legion terror although the police ruled it a “suicide” to prevent the family from collecting insurance that his father had taken out because of the incessant death threats. Malcolm was only four when he became an orphan. The family’s home in Omaha, Nebraska was attacked and smashed by Klansmen forcing them to move to East Lansing, Michigan. But racism pursued them there as well and their travails did not end. The KKK firebombed their home. When the white fire brigade and police finally arrived, they just stood by as the house burned to the ground. Their mother Louise suffered an emotional breakdown some years later and was committed to a mental institution in 1937, while the children were given into the care of various foster homes and orphanages. 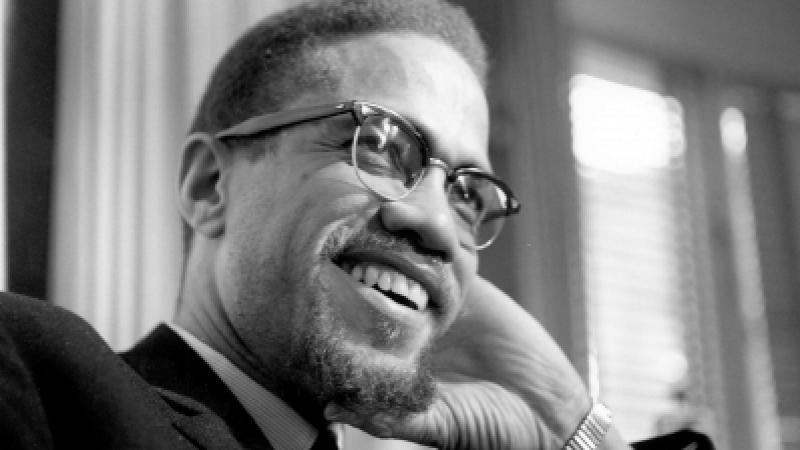 Malcolm X had his first encounter with racism before he was even born. In his own words, “When my mother was pregnant with me, she told me later, ‘a party of hooded Ku Klux Klan riders galloped up to our home,’” Malcolm later remembered. “Brandishing their shotguns and rifles, they shouted for my father to come out.” The harassment continued until their father was murdered. Such tragedies were common for African Americans of that generation. They had no civil or political rights and while slavery was officially abolished, in practice it still existed. Life for an average African American was pretty grim. Racism was rampant and there was nowhere they could turn to. Petty crimes and burglaries became their favorite activities. Malcolm X and his long-time friend, Malcolm “Shorty” Jarvis, finally moved back to Boston selling drugs and indulging in other crimes. They were caught and in 1946 were convicted on burglary charges. Malcolm was sentenced to 10 years in prison, but after serving for seven years, he was granted parole. Both in and out of prison Malcolm busied himself with studies. He was an avid reader and a fast learner. During his prison days, he would engage in debates with white prisoners where he honed his debating skills. While visiting him in prison, Malcolm’s brother Reginald introduced him to the Nation of Islam (NOI), an organization led by Elijah Muhammad who had declared himself a “prophet.” Reginald had become a member of the NOI. Elijah Muhammad’s attacks on the white man as the “devil” who worked actively to keep African Americans from empowering themselves to achieve their economic, political and social rights resonated with Malcolm. He had experienced this firsthand from early childhood. He did not need much convincing and once out of prison, he became an active and one of the most outstanding members of the NOI. His eloquence and activism, not to mention his sincere devotion to Elijah Muhammad, attracted the latter’s attention, who appointed Malcolm as minister and national spokesman for the group. He also opened a number of mosques for the Nation of Islam. His most outstanding contribution was his ability to communicate the message of the NOI that soon swelled the organization’s numbers from 500 in 1952 to more than 40,000 in 1963. Such phenomenal growth was the direct result of Malcolm’s charisma, eloquence, and drive. He also attracted much media attention that easily eclipsed his mentor Elijah Muhammad. While jealousy of Malcolm’s fame and media’s attention led to internal intrigues within the NOI to sideline him, by then it was too late. It was, however, Malcolm’s discovery of Elijah’s illicit affairs with several women within the Nation of Islam that shocked him. This was at the height of the civil rights movement in 1963. To make matters worse, these relations had resulted in the birth of illegitimate children. While Elijah Muhammad preached celibacy until marriage, he himself was having affairs. Malcolm was not only disappointed by the conduct of his mentor but deeply hurt. The blow was doubly hard because he was responsible for bringing so many members into the organization that he considered to be built on outright lies and fraud. When the deceptions and lies became unbearable for a man of Malcolm’s convictions, he made a break with the Nation of Islam in March 1964 and established his own religious organization that he named, the Muslim Mosque, Inc. It was also in this year that Malcolm went for Hajj. While in Makkah, Malcolm’s eyes and mind were finally opened to the true teachings of Islam where he discovered that Islam was totally colorblind. There was no white and black distinction; he found the whitest of white men standing shoulder to shoulder with blacks. Skin color simply did not matter. 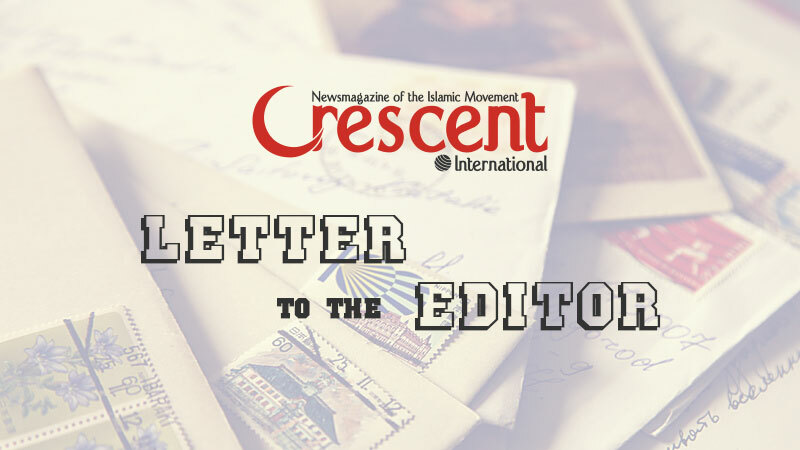 The letters that he wrote from Makkah were an eye-opener for those that received them. He had finally discovered true Islam: the universal din ordained by Allah (swt) for all humankind regardless of race, color, or background. Malcolm’s discovery of true Islam had a transformational impact on his thinking. He returned to the US a totally changed person, no longer preaching hatred against the white man. His message was now addressed to people of all races. He said, “…in Makkah I had met blonde-haired, blued-eyed men I could call my brothers.” This was a revolutionary message and a heresy as far as Elijah Muhammad was concerned. FBI informants had already infiltrated the Nation of Islam long before Malcolm X broke away from it. Malcolm’s break from the organization was the opening the FBI was looking for to not only undermine the NOI but also eliminate the charismatic Malcolm X. The US establishment viewed him as a threat. In America, any person regardless of color or race who exposes the true nature of the establishment is marked for elimination. Malcolm was beginning to have a profound impact on the thinking of people with his mesmerizing rhetoric. He could arouse people one moment and pacify them the next. This was a frightening prospect for the establishment and the FBI worked through the NOI to eliminate Malcolm. To get a better sense of Malcolm X’s understanding of the reality of America and indeed the world, we reproduce some of his memorable quotes. “If violence is wrong in America, violence is wrong abroad. If it is wrong to be violent defending black women and black children and black babies and black men, then it is wrong for America to draft us, and make us violent abroad in defense of her. And if it is right for America to draft us, and teach us how to be violent in defense of her, then it is right for you and me to do whatever is necessary to defend our own people right here in this country” (speech, Nov. 1963, New York City). “There is nothing in our book, the Qur’an, that teaches us to suffer peacefully. Our religion teaches us to be intelligent. Be peaceful, be courteous, obey the law, respect everyone; but if someone puts his hand on you, send him to the cemetery. That’s a good religion” (Message to the Grass Roots speech, Nov. 1963, Detroit). “You can’t separate peace from freedom because no one can be at peace unless he has his freedom” (Prospects for Freedom in 1965 speech, Jan. 7, 1965, New York City). “The common goal of 22 million Afro-Americans is respect as human beings, the God-given right to be a human being. Our common goal is to obtain the human rights that America has been denying us. We can never get civil rights in America until our human rights are first restored. We will never be recognized as citizens there until we are first recognized as humans” (Racism: the Cancer that is Destroying America, in Egyptian Gazette, Aug. 25, 1964). “Sitting at the table doesn’t make you a diner. You must be eating some of what’s on that plate. Being here in America doesn’t make you an American. Being born here in America doesn’t make you an American” (iconic The Ballot or the Bullet speech, on April 3, 1964, Cleveland, Ohio). While Malcolm knew he was a marked man — there had been several attempts on his life and he had bodyguards for protection — they were no match for FBI intrigue. A week before his assassination on February 21, 1965, his home in East Elmhurst, New York was firebombed but the family escaped physical injury. Not so a week later (February 21) at the Audubon Ballroom when three gunmen rushed and shot him 15 times. The life of one of the most outstanding Islamic leaders of America was put out. He had not turned 40 yet. While the assassins were members of the Nation of Islam, the real hand behind it was that of the FBI. Malcolm X’s success and oratory had marked him for elimination. The US establishment could not allow a man of his talent or charisma to live. He was attracting far too many followers and had he been allowed to live, there would be revolution in America. His life was tragically cut short but he had made a profound impact on the thinking of the African American population. Indeed it was largely due to his efforts that Martin Luther King was able to achieve the success, albeit limited, that he did. King was also eliminated in 1968 because he had started to attract large numbers of people to the civil rights movement, and because he had evolved from a “petty dreamer” to the more seasoned activist who would equate the mistreatment of African Americans at home by the same government that was decimating Vietnamese in Indo-China. Has much changed in the last 50 years? True, there is a black man — Barack Obama — in the White House but he knows what his limits are. And he continues to prosecute wars of aggression abroad even as large numbers of African Americans continue to be killed at home. There may be fewer public lynchings these days but the police have not given up on shooting first and asking questions later, if at all. More than half the US prison population of 2.2 million is made up of African Americans and a disproportionate number continue to languish in poverty. Obama is more in the mould of King than Malcolm X even if he has the lanky physique of the latter. At this juncture in history, America needs a Malcolm X more than a Martin Luther King. There is nobody around to fill Malcolm’s shoes. May Allah (swt) bless his soul for all that he did and paid with his life at such a young age.